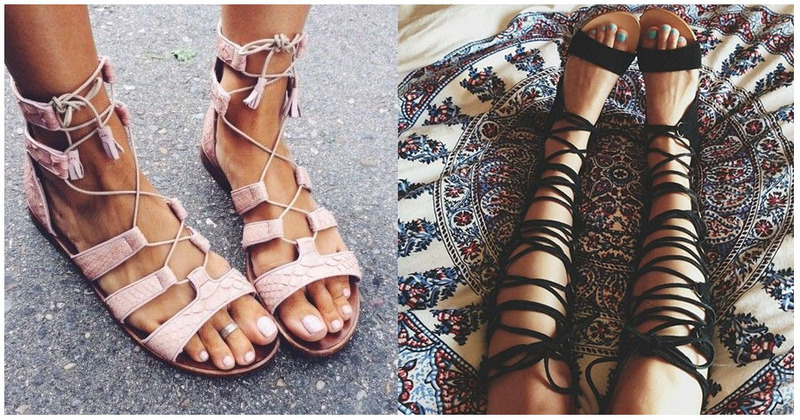 Gladiators, you love em or hate em? I personally love them, my sisters boyfriend however thinks they belong on extras for roman films and that’s where they should stay! 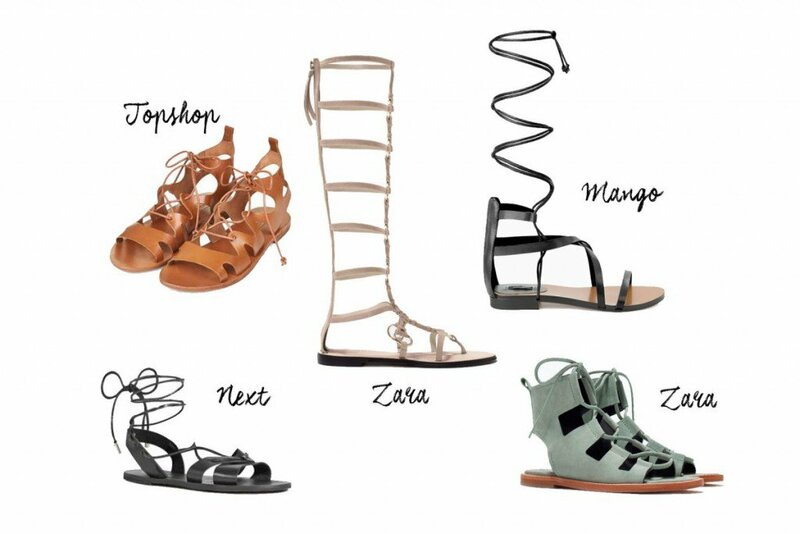 Love em or hate em they’re the sandal of the summer. With a range of different variations whether you want to go all out with a pair of knee highs or dip your toe into the gladiator pool with an ankle pair ( like me) there’s something for all you gladiator lovers out there! To give you (and me) some inspiration on how to wear the trend I’ve put together some of my favourite pinterest photographs. 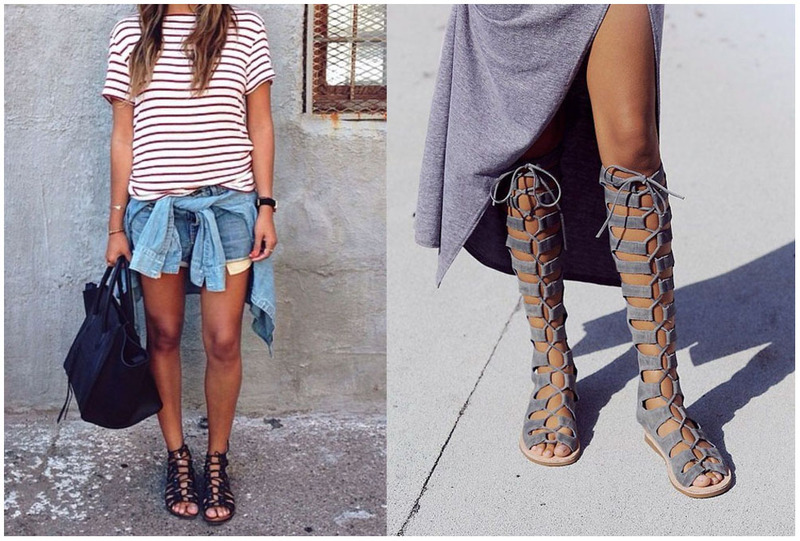 I love the knee high gladiators and they go so well with the suede dress! I’ve done a little shopping list of my favourite gladiators, I’ve got the tan Topshop ones! I love the Zara pastel green sandals, I can see how soft they are without even touching them and I think the pastel colour softens the style a bit!